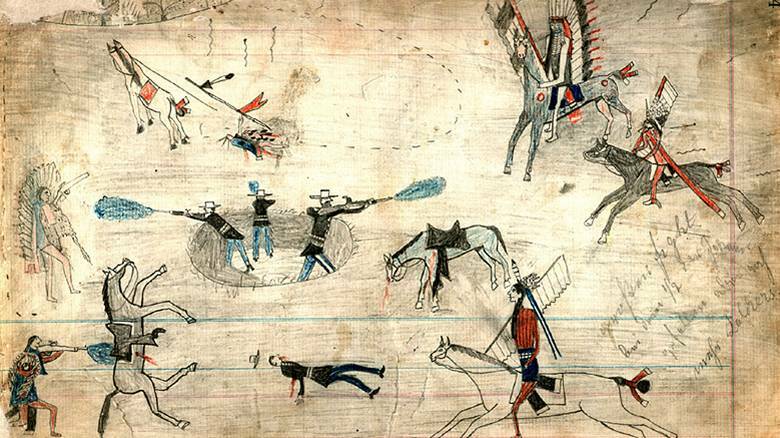 The Red River War of 1874 to 1875 was bloody and brutal, but it gave birth to what we now think of as the Texas Panhandle. It's also not a story often told, particularly in schools, said Ada Lester of the Wheeler County Historical Commission, which will host a two-day seminar designed to kick off an initiative that will spread the story. "We really want the whole story told, not like it was recorded in the military history," Lester said. That includes a more balanced view of the Native American tribe members, not as the "savages" early Anglo settlers believed they were but members of a civilization that had been in this area for thousands of years. But the war was ferocious on both sides. "They were trying to defend what was theirs and had been theirs," Lester said. "It wasn't pretty. There's no way you can flower it up and make it pretty. It was just bad." The summit begins with a 5 p.m. June 26 kickoff party in Old Mobeetie, followed by a day-long strategy workshop beginning at 9 a.m. June 27 in the Old Mobeetie Jail Museum visitors center. Registration is due by Saturday for those wishing to eat at the June 26 chuckwagon dinner, though late registrants are still encouraged to attend (with a sack dinner). Entry fee is $50 for the full event, or $15 for June 26 and $35 for June 27. Lester said the summit will continue the work of the Texas Historical Commission, which began mapping battle sites and recording the history of the war in 1998. But grant funds dried up before that work could be disseminated in any meaningful way, said Lester, who spearheaded an effort to get those findings printed and distributed to schools and museums across the Panhandle. The June 27 session will focus on ways to turn that research into a historical tourism experience, including a driving trail from museum to museum, with each institution telling another piece of the story. "We need to learn what it took to settle the Texas Panhandle and what these skirmishes were all about on both sides," Lester said. "We're going to lose it if we don't get it recorded and out there for the public to learn. Our kids don't know this story." To register, contact Dora Meroney at txivy@arn.net or 806-373-1427.